This the the second time I went to Toronto, but everything is still quite fascinated to me. 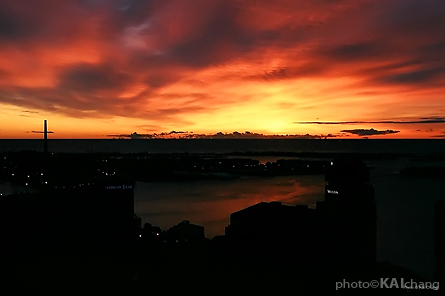 I was located at the 42 floor of an hotel appartment in Toronto downtown, where faces to Lake Ontario with the gorgeous view. 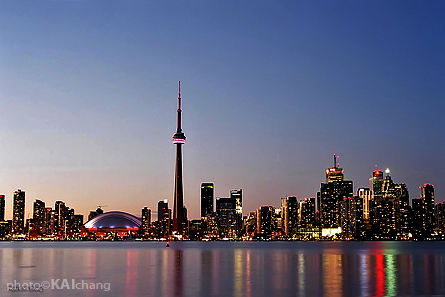 The first image is the world famous Toronto CN Tower & Sky Dome scene. To capture this view you have to take ferry to Centre Island and walk to the adjacent Olympic Island then find a good spot.